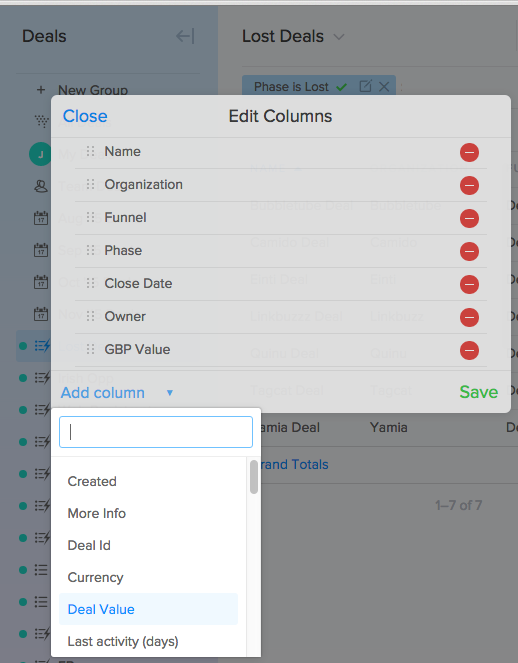 Configure table columns so that you can better use them for reporting. The columns contained in a saved group can be customised and sorted to build a report showing the information you need to view or export. You can then add additional columns, remove existing columns, and drag and drop columns to rearrange them (top to bottom equates left to right).